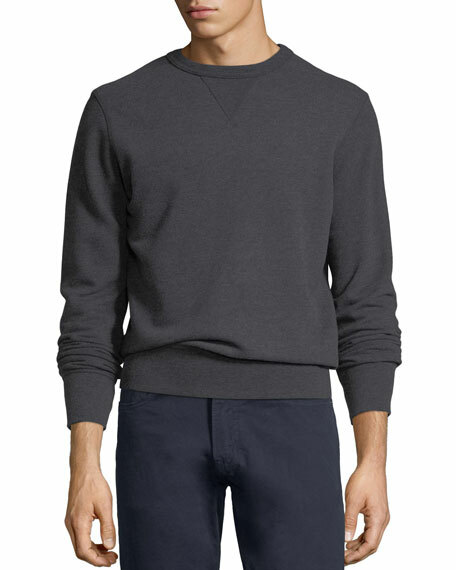 Ralph Lauren sweatshirt in heathered knit. For in-store inquiries, use sku #2410396. 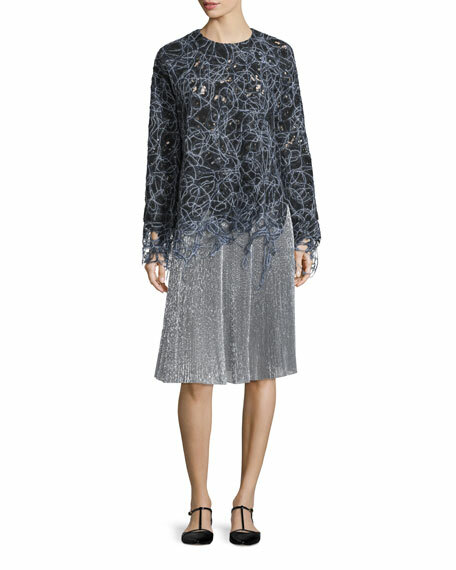 Adam Lippes open-knit lace sweatshirt. Crew neckline; button back. Long sleeves. Relaxed silhouette. Raw-edge hem. Polyester/acrylic/nylon/merino wool; silk lining. Made in the USA of Italian material. Alo Yoga "Fierce" sweatshirt in diagonal French terry with distressing. Crew neckline. Dropped shoulders. Long sleeves. Cropped silhouette. Relaxed fit. Raw-edge hem. Cotton/polyester. Imported. 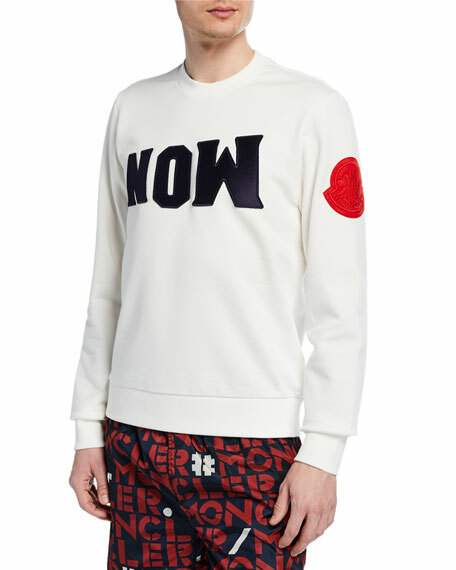 Kenzo classic sweatshirt with embroidered tiger logo graphic. Crew neckline. Long sleeves. Relaxed fit. Slipover style. Cotton. Made in Portugal. Model's measurements: Height 5'10"/177cm, bust 33"/84cm, waist 25.6"/65.2cm, hips 35.8"/91cm, dress size US 2-4/FR 34-36. 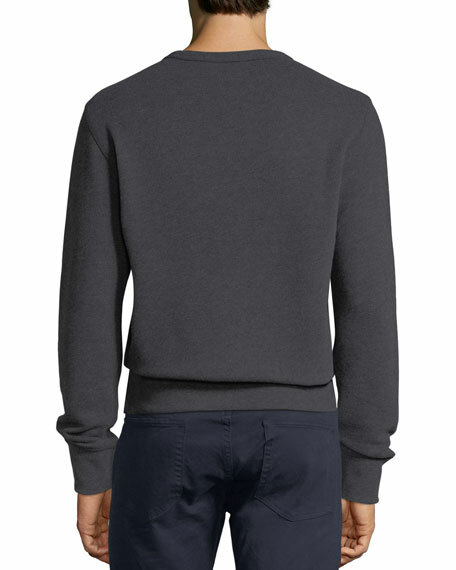 Moncler sweatshirt with upside-down "Mon" logo front. Crew neckline. Logo patch on left sleeve. Banded cuffs and hem. Pullover style. Cotton; polyester trim. Imported.